New and experienced real estate salespersons are attracted to PropNex due to its winning-mindset, sharing culture and impactful trainings. PropNex Realty is leading the market as Singapore's largest real estate agency with 7,534 salespersons as at 8 March 2019. This is a 12.7% increase from 1 January 2018 where we led the pack with 6,684 salespersons. As a dominant player in the real estate market, PropNex attracted a total of 853 experienced salespersons in year 2018, inclusive of 11 team leaders who crossed over from other real estate agencies. Some are also at the peak of their careers with close to 10 years' experience in the industry. Ultimately, they chose PropNex to elevate their careers to the next level. In terms of performance, PropNex also strengthened its market leadership in new launches and was involved in 31 project launches in 2018, of which 26 were new launches and 5 were appointed after the initial launch. The project teams managed to close the highest number of units in 21 of these 26 launches, against other joint marketing agencies. For 2019, PropNex has been appointed for 37 projects to date, with approximately 16,188 units to be launched, reinforcing the confidence and trust that developers have in the ability of the agency's project teams. A mutual reason cited by many salespersons who chose to cross to PropNex is the powerful, up-to-date trainings provided by the agency. Conducted all year round, covering every segment of the market, PropNex trainings are led by Chief Executive Officer, Mr Ismail Gafoor, Executive Director, Mr Kelvin Fong, Key Executive Officer, Mr Lim Yong Hock, Assistant Vice President, Mr Eddie Lim and other experienced leaders who excel in the various segments. 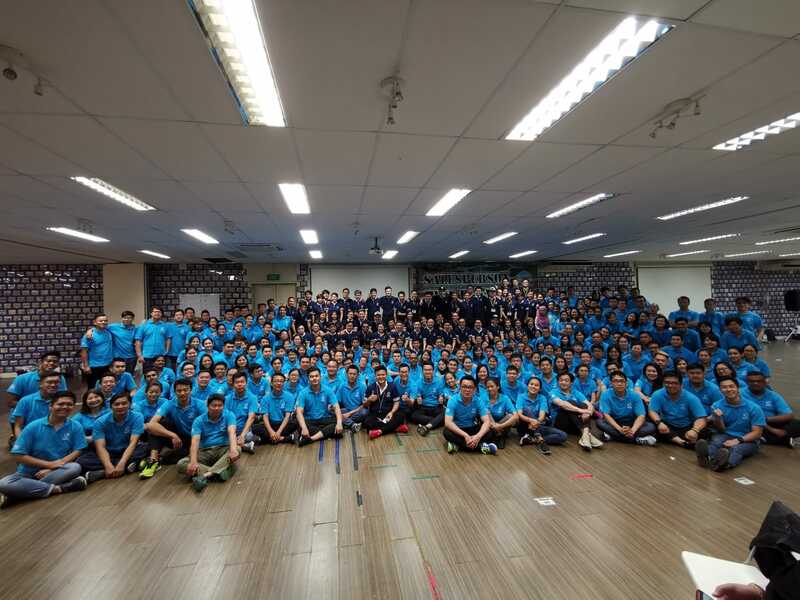 In 2018, about 20,000 attendees participated in training sessions held by PropNex. Mega trainings like the signature Power Sales Booster at Kallang Theatre attract thousands at one sitting, and are held to empower salespersons with strategies to excel in their real estate business. Mr Ismail Gafoor highlighted: "Empowering our people. That is our Number One mission at PropNex when we designed training courses for our salespersons. In this evolving industry, every salesperson has to harness their skills to be able to address their clients' needs -be it investing in their first home or purchasing multiple properties." Another powerful training programme, a first-of-its-kind in the industry, are the Salespersons and Leadership Bootcamps specially curated by Executive Director, Mr Kelvin Fong. These bootcamps are conducted in-house supported by a large pool of qualified facilitators who are also team leaders and top producers themselves. Over 2,000 salespersons from Singapore, Indonesia, Malaysia and Vietnam are impacted positively each year through the bootcamps. "Prior to attending SBC, winning to me is all about giving all my bull strength to fight at all cost, in the process not only did I hurt myself, I also hurt others without knowing it. I may have won on surface but in reality, I have lost. I also learn that success to sales, leadership and family happiness is not about convincing others for an acceptance, it is about a heart to heart connection to influence others. My greatest takeaway was that I redefined the meaning of winning, success and happiness." Bootcamp graduate and PropNex salesperson, Tyson Yuk shared. The next pull factor for real estate salespersons who chose PropNex is the strong sharing culture ingrained in the agency. While they may come from different backgrounds and teams, PropNex salespersons help one another and share success strategies openly as one PropNex family. In the ever-competitive nature of the real estate industry, this is truly refreshing and sets the agency apart from its competitors. Besides sharing strategies amongst themselves, the agency also encourages this positive spirit through its events like the Quarterly and Annual conventions and monthly Star Performers' ceremony, amongst many others. At these events, outstanding salespersons are selected and interviewed by the CEO to share their key strategies to thousands of fellow salespersons. Loyalle Chin, a PropNex salesperson shared, "I look forward to every Star Performers' Ceremony held by the company as there are numerous opportunities to gain strategies and learning points from fellow top producers when they sit and share with CEO, Mr Ismail Gafoor. This is truly unique and something special not found in other agencies." 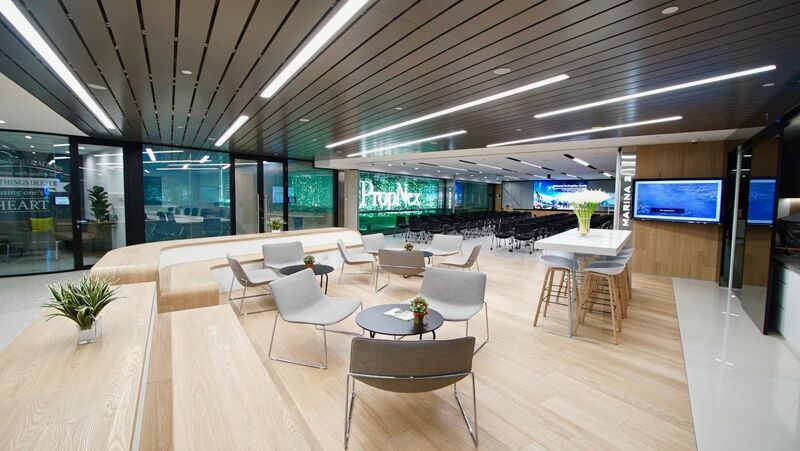 PropNex also draws in salespersons thanks to its futuristic and modern environment for real estate salespersons. On January 2019, the agency unveiled another brand new office at 18th Floor, HDB Hub East Wing spanning over 12,000 sq ft. Salespersons can utilise the new mega modern training rooms and co-working spaces which provide additional option for them to conduct trainings or host meetings with fellow associates or clients. PropNex salesperson Zacson Ong shared, "The new office at level 18 is indeed amazing! The whole concept is very modern and I'm really proud to bring my potential recruits there to network and share with them more about PropNex." Today, PropNex has presence in three floors at HDB Hub East Wing (Level 10, 11 and 18) and also provides high tech training facilities over at its Branch Office at Lorong 6 Toa Payoh which can house up to 500 persons. #10-01, HOB Hub East Wing, S (310480).